Browse below for dog friendly pubs in Great Urswick. 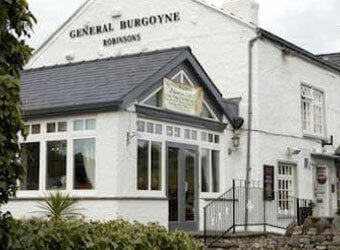 The General Burgoyne is a typical country pub situated in Great Urswick (near Ulverston). Its offers a great selection of drinks and an extensive menu of good pub grub with an added edge.